Social Networking App Technology Stack: How to Develop Social Apps? Social networking applications have become an inescapable part of our lives. The power of social networking is such that the number of worldwide monthly active users is expected to reach some 3 billion by 2021. Yes, that’s around a third of the earth’s entire population. Big and popular social networks such as Facebook and Twitter aren’t going anywhere. But people also use niche social networks for different needs. The idea of building new social interactions is great, so it would be useful to learn a bit about the technology stacks that social networks rely on. Because no matter who your target audience is, your social network should offer a great user experience and provide users with core features. Social mobile app development requires a three-tier architecture: client, backend, and database. We’ll start with the client by describing three fundamental features that actually define an app as a social network – profiles, feeds, and connections. The first thing new users create on a social media platform is their profiles. For developers, this means that a database with personal details of the app’s users is at the core of social network app development. The easiest way to build a user profile is to connect an app to social networks that users are already using. For example, basic profile data can be retrieved via REST API calls from LinkedIn, Google+, Twitter, and Facebook. As an alternative, users can enter an email and password to sign up, but this requires more time and effort, so people may be less inclined to choose this option. Photo effects. Users can add effects to make their profile pictures brighter and express their thoughts. Facebook users can add custom frames to their pictures. Background colors. To stand out, users can customize the way their profiles look by setting the color and style. Customizable bios. With animated options that display interests, hobbies, food preferences, and more, users can make their profiles good-looking and show their interests and individuality. Links. Users can add links to websites, blogs, and other social networks they use. Profiles are important, but at the end of the day, people use social networks to share and discover content. YouTube, for example, is all about user-uploaded videos. Instagram users share photos and videos and can live stream videos. Flickr is centered around uploading photos instead of posting status updates, and Medium is a social platform for content sharing (even though it looks like a publishing platform). A feed is a must for a social network to be engaging. Content that shows up in a feed can be shared by a social media app’s users in the form of user-generated stories, user-uploaded audio, video, presentations, and photos. Content also can be curated by an app’s administrators. Sharing content motivates people to use a social network. Based on people’s reasons for sharing, we can divide user-generated content as follows. This is the type of content users post to let their friends know where they are and what they’re doing. The most common way of letting others know what’s up is by tagging a location. This can easily be implemented with the help of location APIs that retrieve a device’s location from GPS and mobile network providers. Location data can be used for monetization because with this information social network app developers can predict potential actions and, based on that, recommend things like coupons or concert tickets. However, there are growing concerns over the lack of privacy controls when it comes to location information. To get some revenue from advertising and other in-app features, app developers may hook into libraries that offer integration with ads and other services. Quite often, an advertising library tries to get user location data and use it to serve ads. We believe that only verified third-party services should be used when creating a social networking app, as the app stores your users’ personal data. Choose only trusted third-party services that give users control over their privacy. For example, Instagram has awesome filters that make their app catchy, VSCO targets professional photographers, and SoundCloud offers aspiring musicians an easy way to get their music out there. Even if users of a social app don’t actually create content but copy and paste it from other sources, this can also be seen as user-generated content because sharing other people’s thoughts is also a form of self-expression. For example, many people use Twitter to post links not only to content they’ve created but to content created by other people and media companies. User-posted content can catalyze growth for a social network. However, the very nature of user-generated content means a platform needs a sizable community before this content can drive engagement. This type of content feeds on people’s desire to look good. It also allows users to get some explicit (or implicit) rewards for their activities. Special statuses, badges, levels, and tangible rewards like vouchers are different ways an app can trigger the common social desire to be better than one’s peers. 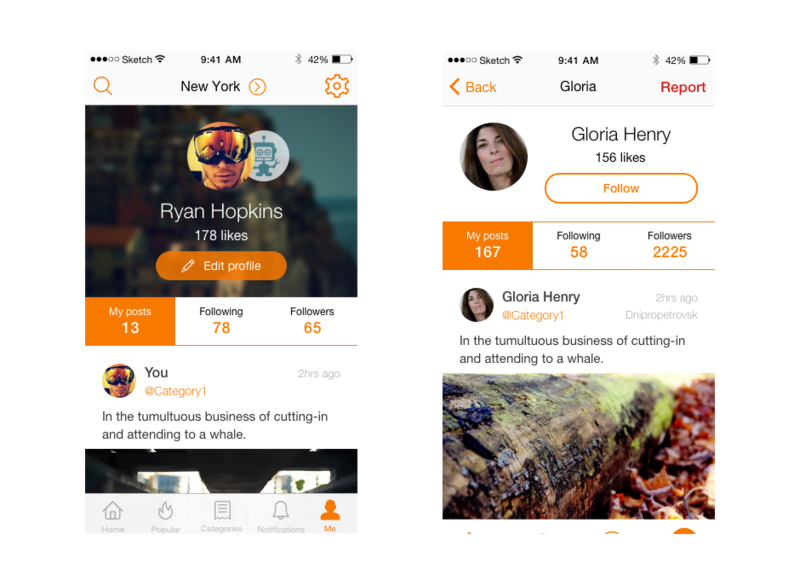 Swarm, for example, uses badges to boost user check-ins. The great thing about the self-esteem type of content is that it gives immediate value regardless of your app’s community size. No matter what content gets into the feed, it should offer some sort of interactions to engage and retain users. Interactions include reviews, ratings, comments, highlights, likes, and shares. Every time an interaction happens, a user can get a push notification that prompts them to open the app. What’s more, interactions increase connections in a social app. Explorer. These people like to discover content, so you should give them multiple feeds. One of these feeds may include only content generated by the user’s friends, and another may feature trending content that gets promoted across the whole network. Talker. You guessed it! These folks like talking, so implement comments to help them inject their voice into the ongoing conversation and get attention. Admirer. Do you have friends on Facebook who like everything they see? All of us can be admirers from time to time. Favorites, likes, or retweets (as Twitter calls them) are interactions that today’s users are looking for. Favoriting other people’s content amplifies the value of a post, and can incite a person who likes it to connect with the post’s author. Searcher. They’re close to explorers but with one difference – searchers know what they’re looking for. Hashtags are a great news feed sorting mechanism pioneered by Twitter. They work remarkably well for growing a user following. Public groups are communities that gather people with common values. Groups are about connections between people. They can be the main focus of a social app, or they can be an additional feature. Alternatively, groups in a social app may be built around non-user entities, such as businesses and organisations that want to be part of a social network (for example, Facebook Pages). Anonymous social networking apps are gaining popularity. Compared to traditional social media platforms like Facebook and Twitter, anonymous social media sites make it easier for users to hide or better protect their offline and online identities. The Whisper social network allows users to share their thoughts anonymously. Users don’t have an identity when using the service. And there are no followers, friends, or profiles. Whisper allows users to add a school or group, but it doesn’t ask for photos or email addresses. Lots of people need to share their thoughts with someone, but using Facebook or other popular networks means that all coworkers and relatives can see what you share. That becomes a problem when people don’t want their followers to discover their problems or hesitations. 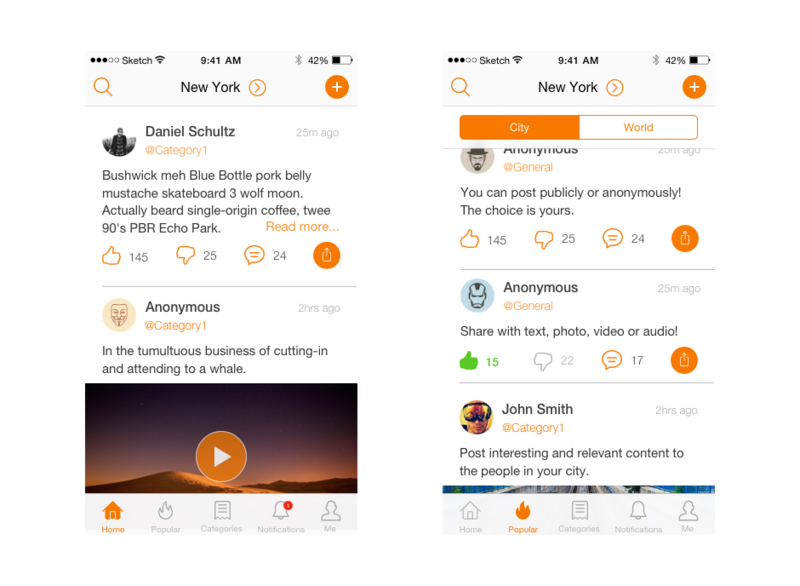 Building an anonymous social network is a good way to meet this need. But if you want to create a more general network, consider adding anonymous groups to your platform. Today, most social networks allow users to create lists of close friends who can see shared content. Maybe connecting people can go beyond digital boundaries? If you’re wondering how to make a social media app and keep it in touch with reality, an event-based app might be a good option. Sending event invitations or using tickets as explicit rewards can be a source of revenue for a social app and also a source of new connections for users. In the age of everything digital, events are a great chance for an app to move online communication into real-world settings. One of our recent projects, the Proreel app, is centered around filming events, castings, and connecting people in real life. With user permission, connections can be mined from Facebook, Twitter, LinkedIn, Google+, and other popular social networks. Previously, Facebook allowed app developers to retrieve friend lists. Now, however, you can only send invitations to connect to your Facebook friends who are already registered in the app. As a work-around, you can create a page for your app on Facebook and use it to invite people to download your app. By connecting to an email client, an app can let users send invites to their friends (after all, social networks work best when friends also use them)! These invites can include a template with text or can be composed by users. Click here to see how to implement this on Android. For iOS apps, we can use a standard MFMailComposeViewController class. The same message with an invitation to download the app can be sent by SMS to people from a user’s address book. iOS provides a class named MFMessageComposeViewController for handling text messages on iPhones and iPads. Click here to see an implementation of this functionality on Android. Social apps typically let users search by usernames or full names. But we can add filters that narrow down search results. These filters may include location, gender, interests, jobs, or any other information associated with a profile. Based on the information at an app’s disposal, it can suggest new connections to users. A social network should carefully analyze users’ choices. Give users an option such as “I don’t want to see this page in recommendations” to make sure your social network provides a great user experience. Now that we’re through with the most important features, we can also look at other helpful functionality that a social app can include. Profiles, feeds, and connections are crucial features that every social network requires. Now let’s check out some other fundamental features to implement to create a successful social network. To reach an international audience, your social network app should support multiple languages. App developers usually think of making their app all in English. But statistics show that 42 percent of Facebook users worldwide don’t select English in their language settings. As for Twitter users, 49 percent select a preferred language that isn’t English. Do market research and think of your target audience, then select the languages your app should support. By supporting several languages, your social network will attract more users. Today, messaging and chats are a must for lots of apps, not just for social networks. Your social network app wouldn’t be fully equipped without this feature. There are a lot of third-party services that can be used to develop real-time chat functionality, so you don’t necessarily have to build a messenger from scratch. One of these services is Layer. We’ve used it in some of our recent social media app development projects, including in the Plaza app for iPhone. Layer allows users to talk with chat, voice, and video messaging and is really easy to integrate. This content is something that makes money on social networks. Value-added content can enrich profiles and offer additional functionality or advertising possibilities. Some of this content may get into a social app through partnerships with content providers (game developers, artists, and others). You can check out Picocandy and Rokolabs for examples of value-added content. These platforms offer stickers and other virtual products. Most content providers don’t only sell stickers; they also get a revenue share. 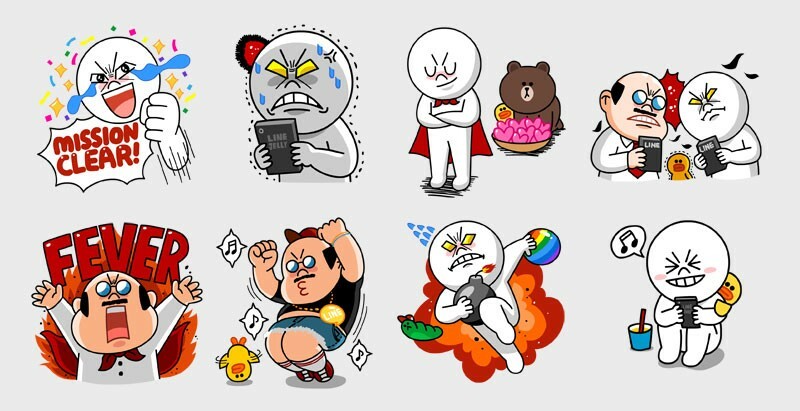 Alternatively, you can create your own custom stickers. To create a social network app that handles a lot of content, in addition to functionality on the frontend you should also consider backend solutions. Your requirements for backend development should be based on the desired performance. What if you have one million users at a time? What kind of backend infrastructure would you need? We typically suggest using Ruby on Rails, which can speed up development while meeting your performance requirements. You can choose between SQLite, MySQL, PostgreSQL, or NoSQL databases such as MongoDB. We recommend that you use MySQL or PostgreSQL for your social networking app. NoSQL databases aren’t designed to support many one-to-one and one-to-many entity relationships. MongoDB, for example, isn’t the best choice when it comes to storing likes for user photos. One more important part of social app development is building an admin panel. The main purpose of an admin panel is to support the app’s users. If, for example, a user has a question about the app, they can address it to the project admin right from the app. The admin panel lets app owners view all questions and send answers to users in real time. This functionality is especially important when a question is specific and related to a user’s history, personal data, or payments. In addition to user management, an admin panel can also implement entity management features to offer some control over user-generated content. Sometimes an admin panel also has a statistics page with integrated analytics. We suggest using one of several third-party analytics systems like Mixpanel or Google Analytics but also developing complementary features for the admin panel that can meet your needs. For instance, Google Analytics shows behavior of the entire user group but doesn’t provide any data on specific user behavior. Creating user behavior logs can provide you with deeper analytics. The most popular social networks like Facebook gain a big chunk of their money from knowledge of human behavior and statistics. Relevant statistics will help you gain insights into your app’s performance and come up with new ideas for how to enhance your app. All in all, social networking app development is a big deal. To get in the game with fewer risks, we suggest that you start with a smaller version of your product, or an MVP, then work your way to the top.